Catherine Redmond is an experienced environmental attorney who joined Noble, Wickersham & Heart in 2015. 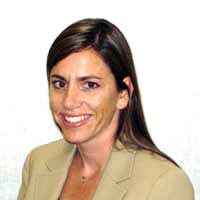 She came to the firm after having served for over ten years as in-house counsel for the San Joaquin Valley Air Pollution Control District, one of California’s largest environmental agencies. Supplementing her deep expertise in federal and state Clean Air Act regulatory matters, Catherine also has considerable experience with contract negotiations, government procurement of goods and services, employment law, and litigation. During her tenure at the Air District, she worked closely with both public and private sector stakeholders in rulemaking, permitting, variance, and enforcement activities, and she successfully defended numerous agency actions in state and federal court. Catherine graduated from Chicago-Kent College of Law with high honors and a certificate in environmental and energy law. She received her B.A. degree in Environmental Studies from the University of Colorado, Boulder. University of Colorado, Boulder, B.A. 1996.